SAN DIEGO — AleSmith Brewing Company is offering a new way to enjoy the classic European-style brewery’s barrel-aged beers. 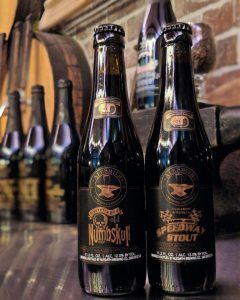 To make these popular styles more accessible to the casual imbiber, they recently released a new Cinnamon Vanilla Barrel-Aged Speedway Stout and already popular Barrel-Aged Old Numbskull in 330 ml (11.2 oz) bottles. Packaged in custom “Barrel-Aged Release” two-packs, these higher ABV beers can be enjoyed more easily by an individual consumer as compared to the traditional 750 ml bottles that AleSmith has provided in past years.